Because we are HTML5*, older Browsers may not see us correctly. Are you studying the United States of America? Are you traveling to the USA soon? 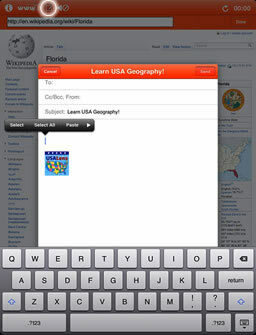 USALens for iPad® is an easy-to-use application designed to help both children and adults world-wide quickly understand United States of America geography and easily find information about the various USA States. 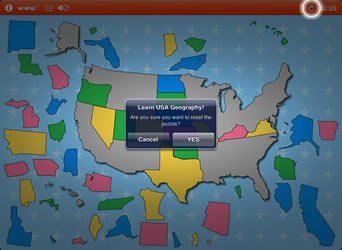 The USALens quick-learn puzzle will help you visualize and remember USA geography. Turn on read-aloud to hear accurate pronunciations. 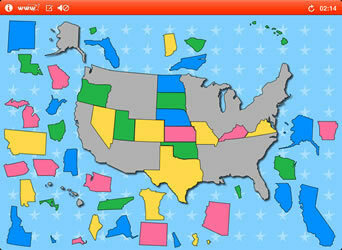 Use the browser and links to read about different States. 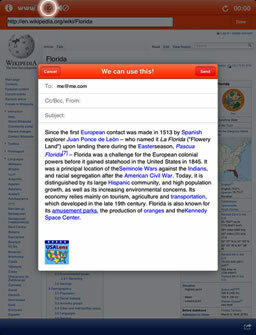 Print directly from the browser, or copy and paste into the email window and send information anywhere in the world. 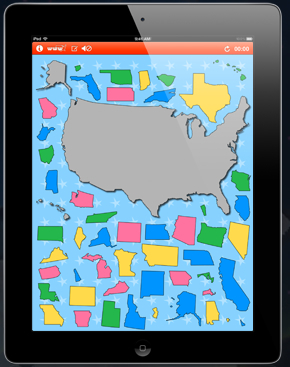 Quick-learn puzzle helps understand State locations by moving puzzle pieces into place. 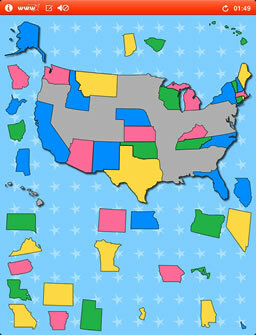 After all States are correctly placed, State Capitals appear and can also be moved into their places. 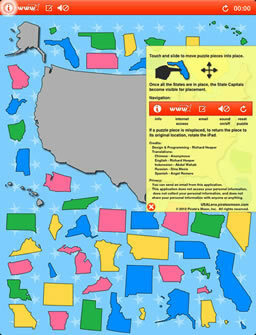 Read-aloud component that can be turned on to help with State and Capital pronunciations. 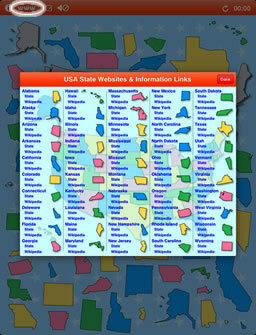 Internet browser with many links to State web sites to provide information or research opportunities. 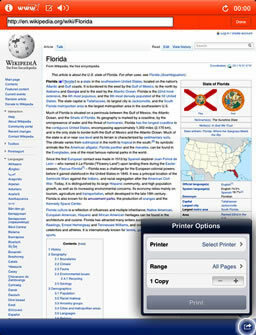 USALens filters Wikipedia access to only USA State pages. Print useful information directly from USALens. Copy and paste into the email window to send information anywhere. An educational volume discount is available from the App Store. 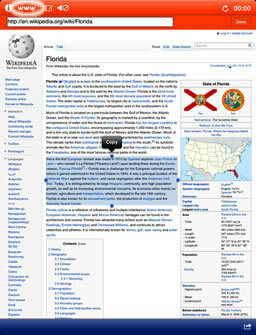 To maintain a 4+ rating the internal browser filters Wikipedia access to USA State pages only. Supports iOS 4.3 and above. Scroll the screen shots. Click on one for a larger view.